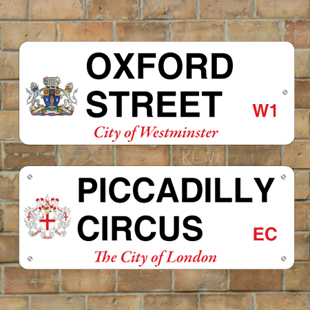 Classic London Street Sign. 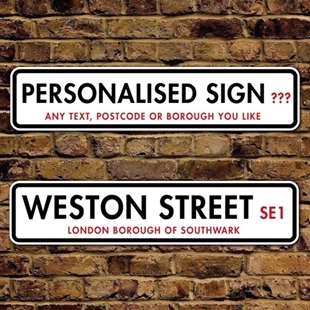 Personalised option. 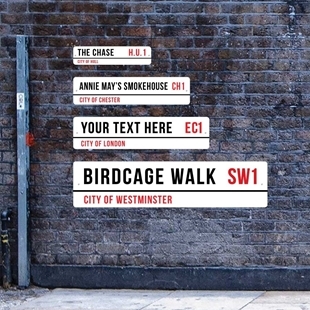 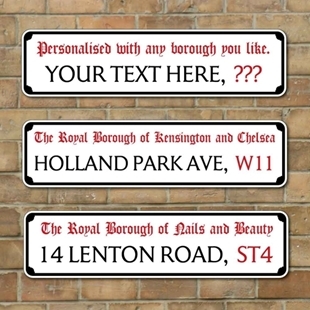 Personalised Vintage Style Old London Street Signs. 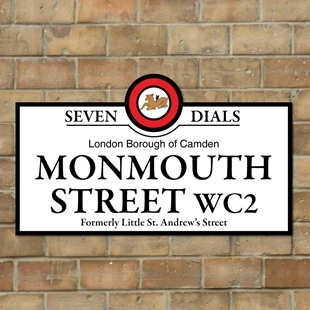 Old London Street Sign. 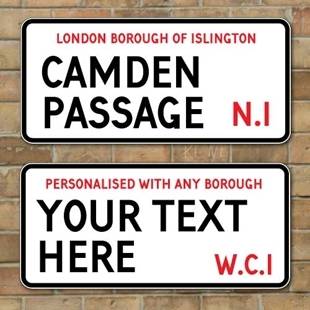 Traditional English road sign personalised with any text you like. 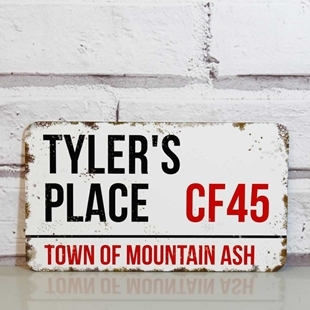 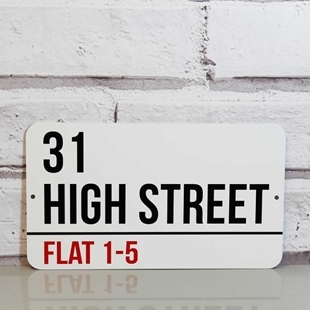 The sign is printed in the style of a traditional vintage street sign with a choice of colour and finish. 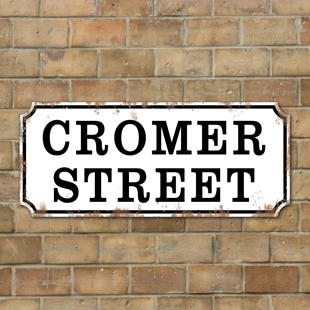 Traditional style sign with clipped corners. 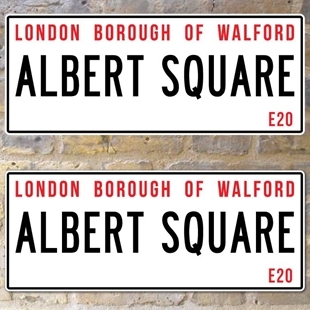 Eastenders Style street sign - Personalised with any text you like - Perfect gift for any Eastenders fan. 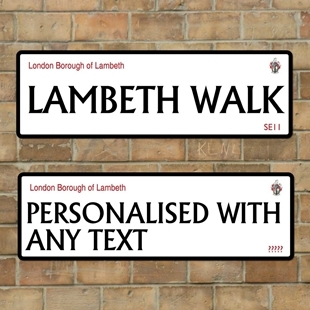 Replica London Borough of Lambeth Road Sign, with any text you like. 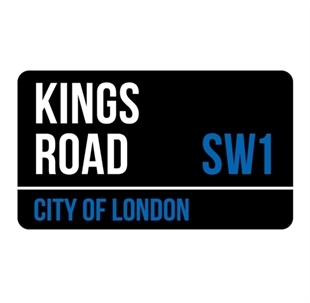 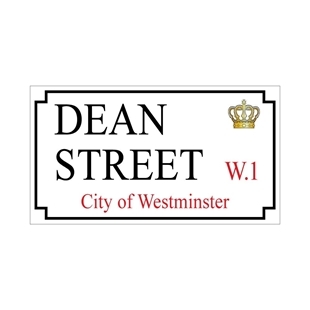 Classic London Street Sign with crest from any borough in London and uk. 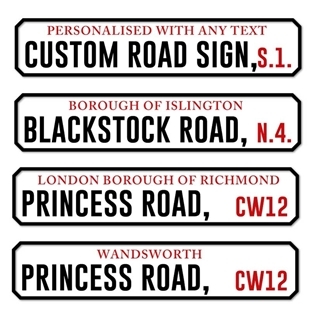 We have four pre-selected crests but if you would like another type of crest please state on order. 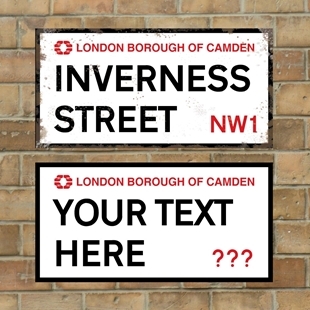 Black London Street Sign - Choice of Text Colour - Personalised option. 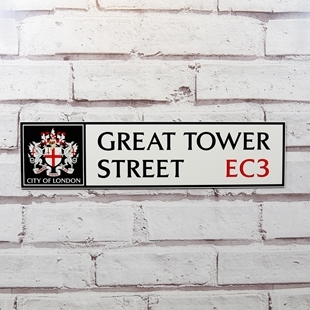 A persnalised aged rusty effect Old London Street Sign. 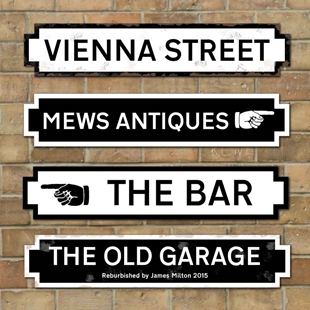 SS-00247 - Classic London Street Sign - Any text and any football club logo... Arsenal - Emirates Stadium, Aston Villa - Villa Park, Chelsea - Stamford Bridge, Everton - Goodison Park, Fulham - Craven Cottage, Liverpool - Anfield, Manchester City - Etihad Stadium, Manchester United - Old Trafford, Newcastle United - St James' Park, Norwich City - Carrow Road, Queens Park Rangers - Loftus Road, Reading - Madejski Stadium, Southampton - St Mary's Stadium, Stoke City - Britannia Stadium, Sunderland - Stadium of Light, Swansea City - Liberty Stadium, Tottenham Hotspur - White Hart Lane, West Bromwich Albion - The Hawthorns, West Ham United - Boleyn Ground, Wigan Athletic - DW Stadium.